Find below the text of Brad Smith's post on Microsoft's official blog. After reading Brad Smith's post "Paid time off matters", I remembered the title of the post Bill Gates devoted to his review of Thomas Piketty's "Capitalism in the 21st century": Why Inequality Matters. In The Guardian, Jana Kasperkevic is the only one, I believe, in her article Microsoft to require suppliers to provide paid leave to workers, to provide a link to the original declaration by Brad Smith on Microsoft's blog On The Issues, Paid time off matters: ensuring minimum standards for the people at our suppliers. In fact, for us this declaration is the most important piece of information as it conveys Microsoft's approach. It's deserves our/your complete attention as it spells out more practical details. After reading it one can hope that the supplier's employees themselves will be part of the process and we certainly would like to be included: how this decision by Microsoft will impact the ongoing collective bargaining between us and Lionbridge Technologies will be a test of the concrete consequences of its implementation. We don't have yet a date for the next collective bargaining meeting but we'll let you know as soon as it is determined. If you know of other interesting articles reporting on this story, thank you for sharing them with us. Many questions remain unanswered about how Microsoft's announcement will be implemented and how it will impact or not our present ongoing collective bargaining with Lionbridge Technologies while they have been resolutely against providing any paid leave of any sort. While we try to imagine ways to express our demands and raise the public awareness and outrage about the situation of the so called 'temporary'/forever workers, images of the giant puppets of the Bred and Puppet Theater came to me. Could/should puppets be part of our brainstorming? 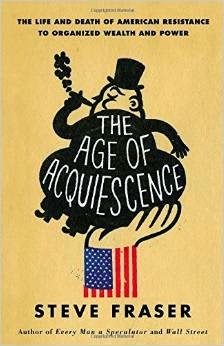 Naomi Klein reviews in the New York Times The Age of Acquiescence by Steve Fraser, with as subtitle The End and Death of American Resistance to Organized Wealth and Power. An interesting argument about the fact that many US workers have no idea there can be another system than the present ultra predatory capitalism. Indeed in our lab, the employees with a background from a country where unions are still well established and benefits like paid vacation, paid sick leave, paid family leave are legally mandated and protected civil rights seem much more prone to fight for them than employees who are 'US natives' and whose sole experience has been jobs without any benefits: although they have worked ten years they never had -for instance- a job with paid vacation. It's more difficult for them to even imagine a few days of paid vacation. That's not even taking into account the propaganda of the dominant ideology that makes fun of all the lazy countries where workers have six weeks paid vacation. Isn't that stupid of the Europeans to enjoy six weeks of paid vacation when they could enjoy none? Seattle based Cornish School of the Arts has a class called Design for Social Change where students work pro bono during five weeks to produce images and other communication items for an organization or campaign of their choice. The class started on March 20 and the results will be presented by the end of April. During this period we'll use this blog as a tool to communicate with the students and share with you what's happening in the class. We'll tag the relevant posts with Cornish School of the Arts, Design for Social Change. This article about Temp's Rights by Samantha Shapiro was published in The Stranger on February 18 1999. Unfortunately, 16 years later, high tech workers are hardly organized and most temps are still not provided with any of the basic benefits like paid sick leave, paid family leave, paid vacation. See also her other article published on June 27, 1999 about the Vizcaino vs Microsoft class action. From the blog Paidholidays.org this selection of articles that provide some context about the lack of paid vacation in the US. 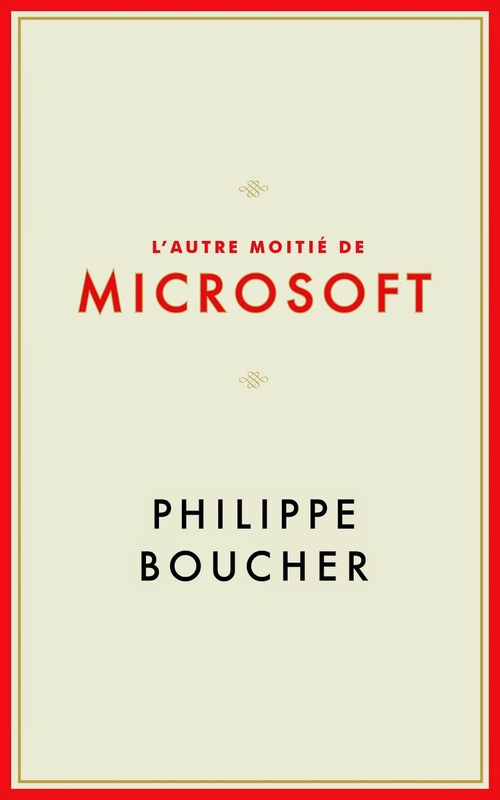 The Other Microsoft has now a French edition under the title L'Autre moitié de Microsoft, available as an e-book on Amazon, if you want to practice your French. With a special introduction and a dedicated blog.